If you want a quick lesson in what soul music is all about; “When A Man Loves A Woman” by Percy Sledge is a place to start. The song has sparse instrumentation with Sledge pouring out his heart over the top. It debuted on the Billboard hot 100 April 9. Seven weeks later it was number one for the first of two weeks. It would prove to be double hit as it topped the R&B chart as well. He would never have another top ten pop hit, but his one huge hit was eternal. Leonard Griffie is a musician who explores a number of styles and sounds but in the end he is grounded in the blues. 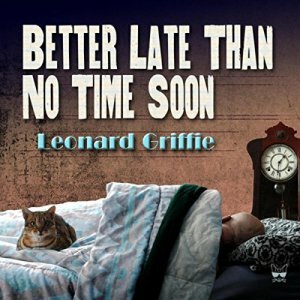 He has released a new album titled Better Late Than No Time Soon. It is an album of original material which fuse the modern with the traditional. Griffie is a musician who is able to change tempos effortlessly. There are silky ballads, gritty rhythm & blues, and explosive blues/rockers. He is one of those artists who tends to float under the radar. despite producing very listenable blues. Hopefully Better Late Than No Time Soon will bring him some well deserved commercial success to go along with the respect he has already earned. Eilen Jewel is as much historian as she is a blues musician. Her new album, Deep Hearted Blues, reaches back in time for songs by the famous; Willie Dixon and Memphis Minnie, and some who have been swallowed by the mists of time; Fiddlin John Carson. She has taken a somewhat convoluted journey to releasing her first blues album. She has issued two albums of original material, recorded two gospel albums with the Gospel Shakers, and even recorded an album of Loretta Lynn covers. 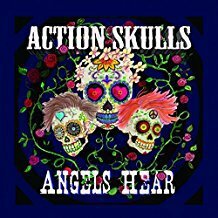 Despite her search for the perfect blues material, she adds her own personal touches ranging from rockabilly to the twang of old-time surf music. She has a wonderful soulful voice that traverses a number of keys. Every once in a while she comes close to jazz territory. Three Willie Dixon songs form the heart of the album. “You’ll Be Mine,” “Crazy Mixed Up World,” and “You Know My Love” take on new textures curtesy of a modern day female blues approach. Minnie Lawler’s “Nothing In Rambling” is a unique take on a classic blues tune. Also of note is her resurrection of the old blues ditty “The Poor Girl’s Story” by the aforementioned Fiddlin John Carson. 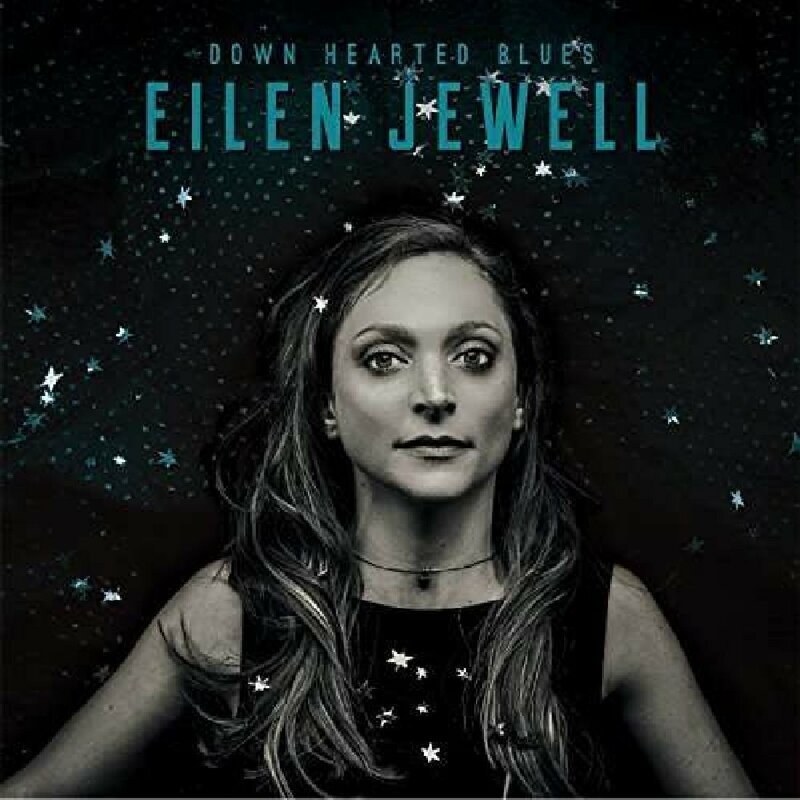 Eilen Jewel continues her journey through American music with her blues laden Down Hearted Blues. It is a journey of surprises worth taking with her. Over four decades ago Al Basile was the trumpet player for the Rhode Island jump-blues band Roomful Of Blues. These days, he surfaces every so often with a new solo album. He has explored a number of styles and rhythms but Quiet Money comes close to the classic sound of Roomful Of Blues. He brings along many of his usual cast of characters. Former bandmate, producer, and brilliant guitarist Duke Robillard is on board as are former buddies from Roomful Of Blues, plus an assortment of musicians from Robillard’s current band. In addition to being a superb trumpet and cornet player, it is his ability as a songwriter that pushes his music beyond the norm. He is a poet who regales the listener with thoughtful and incisive stories set to melodic blues music. When you get to a certain age, your thoughts and approach to life begin to change. “Not Today” and “Who’s Gonna Close My Eyes” explore the passage of time. “Put Some Salt On It” is a humorous take of classic blues with hidden meanings lurking in the lyrics. 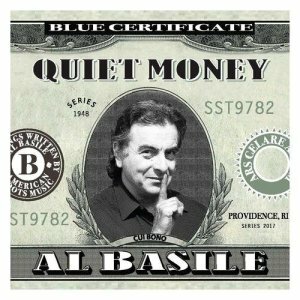 Quiet Money is an excellent dollop of modern-day blues from a sometimes unappreciated master. You are currently browsing the Muskmellon's Blog blog archives for May, 2018.